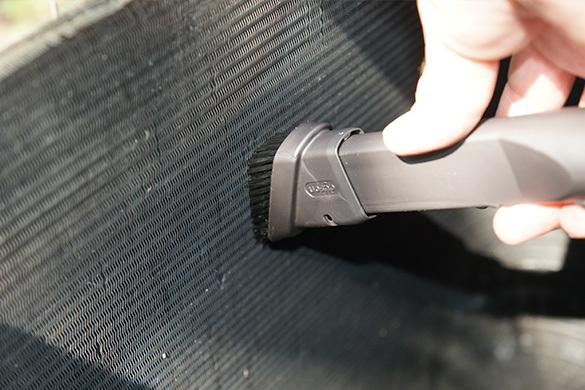 Extending the life of your air conditioner and avoiding costly maintenance is as easy as routinely cleaning it. By doing so, you will also reduce energy consumption and boost the efficiency of the unit’s capability to cool the air in your home. 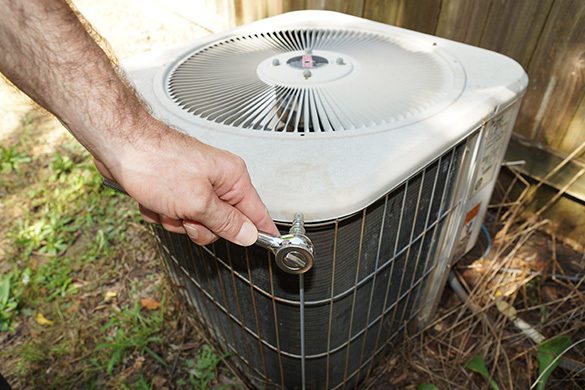 As outdoor condenser units are installed in easy access locations, homeowners are able to perform simple maintenance without the necessity of calling a professional. To maximize efficiency and prolong the life of your unit, air conditioner and condenser unit maintenance should be performed once in the beginning of the cooling season (mid to late spring), and again at the end (early to mid autumn). 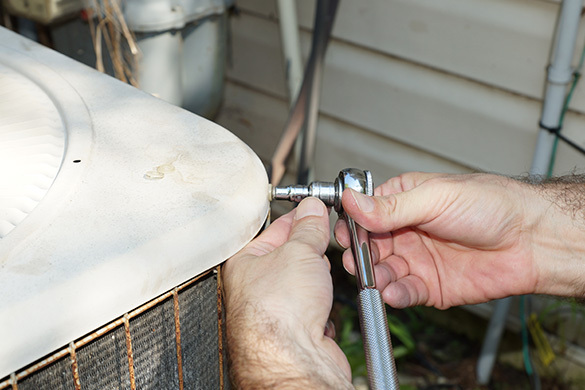 The following how-to guide will walk you through the proper cleaning of your air conditioner’s condenser unit. Step 1. Turn Off the Power – Step one is to shut off the source of electricity! 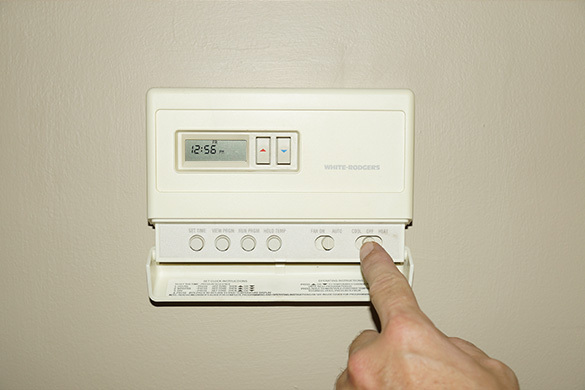 First, make sure that the unit’s thermostat is in the off position. 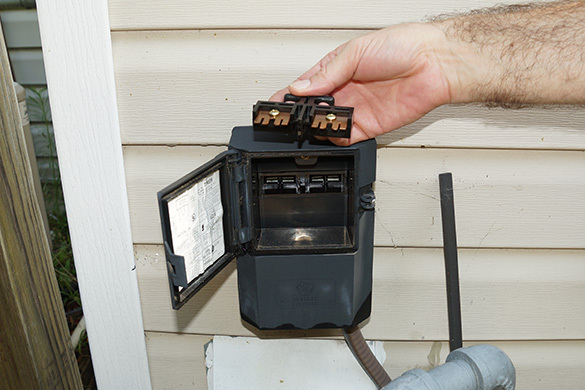 Then, near the condenser unit, locate the breaker or switch box. It may be a switch or lever (turn to the off position), or it may be a fuse block which you simply pull out. 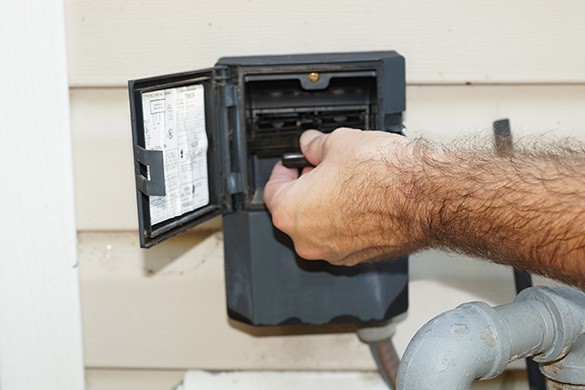 Do not begin maintenance until you are absolutely certain that power to the unit has been shut off. Step 2. Remove Debris from the Coil and Fins – Be very careful when cleaning the fins, they are easily bent. Using a soft brush or a vacuum with a soft brush attachment, clean the fins by gently brushing between them, following the line of the fins (usually up and down). Never brush against the direction of the fins, this will do more harm than good. Step 3. Straightening Bent Fins – Bent fins may be straightened with a butter knife (avoid sharp knives and tools when cleaning the fins). For straightening multiple fins, there are special combs made for straightening which may be purchased at your local hardware store. Finally, if large areas have been crushed, have a professional straighten them on the next routine visit. Step 4. Remove the Fan for Internal Access – Unscrew the screws that secure the fan to the unit. Use caution when pulling the fan up or to the side, the wiring is attached to the body of the unit. Make sure the fan and its housing are clean. Newer models have an encased fan unit and do not require maintenance. Older models will have oil (lubrication) ports. If this is the case, refer to the owner’s manual for the proper oil and amount to be applied. Tip – Never use cooking oils or displacement oils, they are not intended for long term lubrication and will cause more harm than good. Some models will have a belt driven system. In this case, look for oil ports on the motor, and apply the proper amount of oil as recommended by the owner’s manual or model specifications. Step 5. Cleaning the Inside of the Condenser Unit – With the fan housing detached, vacuum the inside of the unit. Again, make sure to use a soft brush or vacuum attachment when cleaning the fins. For situations with a lot of build up from dust and debris, remove as much as possible with a brush or vacuum, or both. Follow up by using a hose to spray the coil and fins from the inside out. Do not use high pressure or a pressure washer! The fins are easily bent and crushed when hit with anything under pressure. Step 6. Reassembling and Preparing for Use – Once the coil and fins are cleaned and straightened, replace the fan assembly and secure it to the unit. 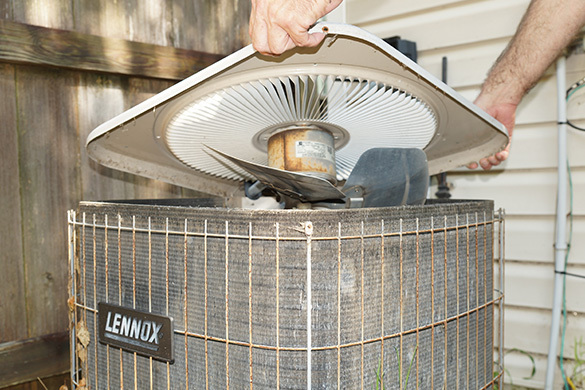 Before moving on, allow time for the condenser unit to dry (if water was used to clean the fins). 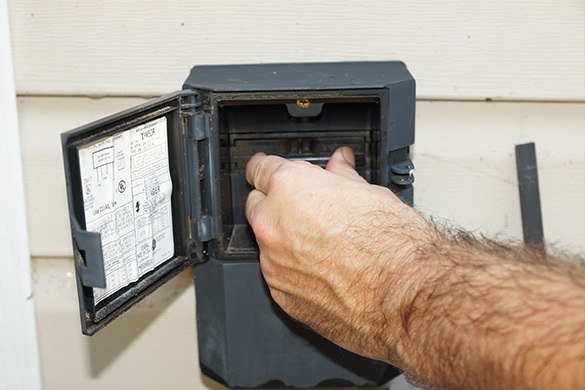 Return the power switch or lever to the “ON” position or replace the fuse block. 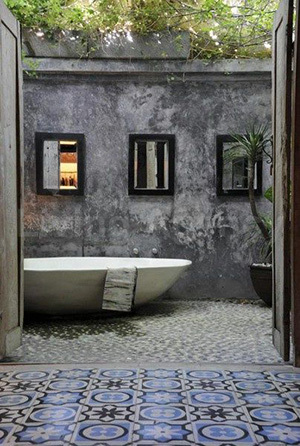 Turn the thermostat on to the cooling mode and enjoy the fresh cool air. 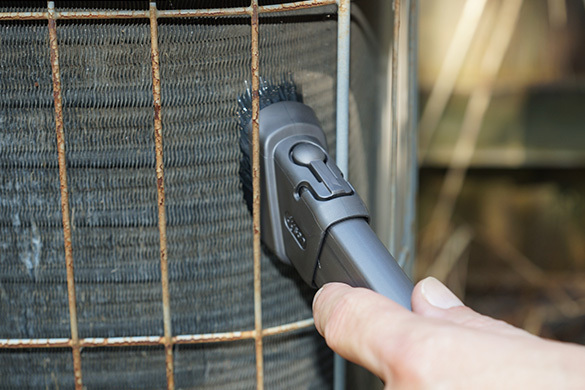 After cleaning your condenser unit, consider cleaning or scheduling your air ducts and vents. 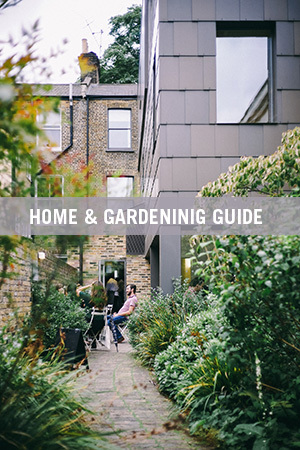 Visit https://nadca.com/homeowners/proper-cleaning-methods for benefits and related info. Ensuring the most efficient operation and extending the life of your air conditioning system are as simple as following a maintenance schedule. By doing this, you are able to detect issues early on and take preventative measures to ensure the longevity of your equipment. When larger issues arise or you’ve detected irregularities, call on a professional to help you “keep your cool”. 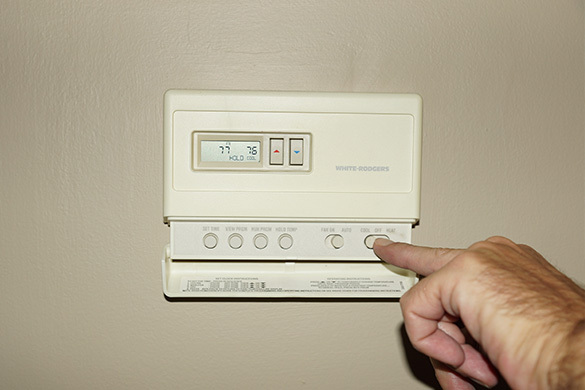 Visit www.homeandgardeningguide.com/repairs/heating-cooling/ for more AC articles, resources and how-to tips.